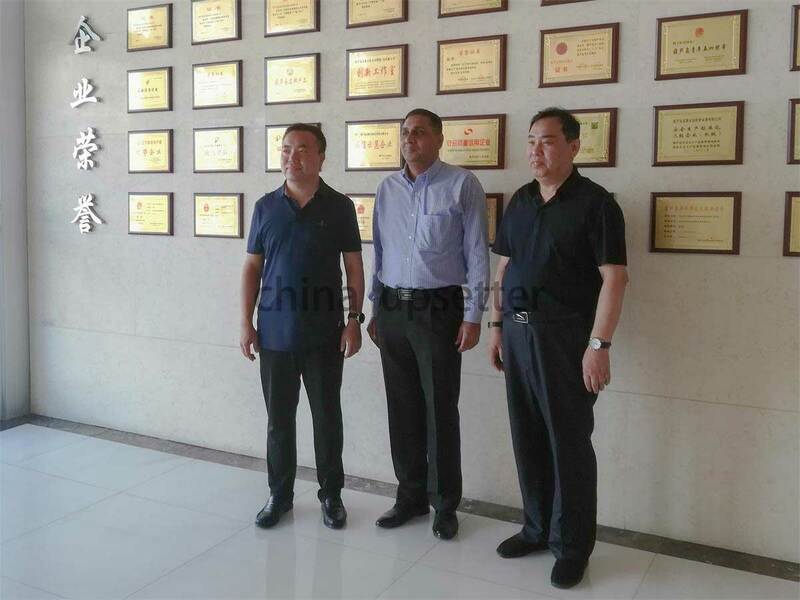 On August 9, 2018, a USA and India based customer visited our factory. He decided to purchase hydraulic upsetting machine to process pup joints. In the meeting room, the customer was pleased to find a similar sample of his processed product on the exhibition booth. The exhibition booth filled with samples of the workpiece which have been processed by our hydraulic upsetting machine. The client watched the promotional video of our company. Through the video, he had a further understanding of our company's development, machining process of equipments, corporate culture and so on. The customer also made a brief introduction about his company’s situation and products. Then, accompanied by salesmen, technicians and other related staff, the customer visited the workshop, equipment showroom, factory area and so on. When visiting the workshop, our technicians fully introduced the equipment that the customer wanted to purchase. The customer was very pleased that there was no flash edge in the products processed by our hydraulic upsetter. He not only confirmed the high quality and high performance of the equipment, but also had a better understanding of hydraulic upsetting machines through this visit. After returning to the meeting room, the customer and technicians discussed the processing details of their workpieces in detail. The two sides reached a consensus on the long-term cooperation.